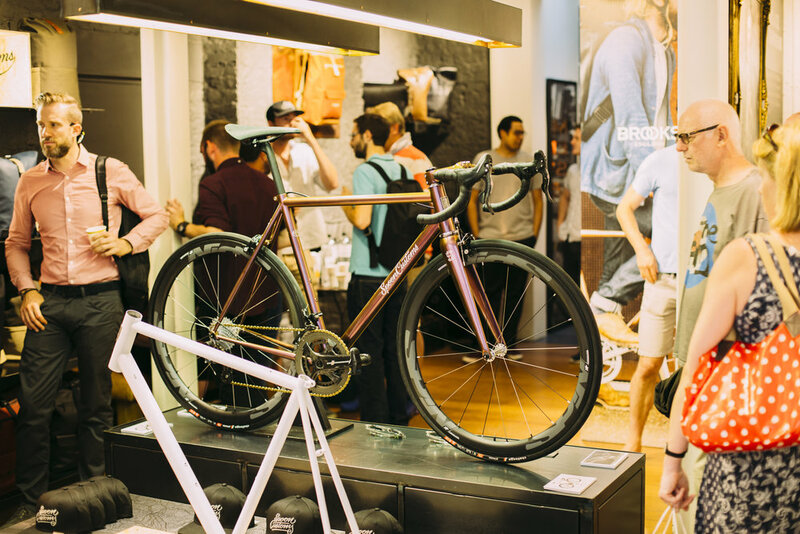 Spoon Custom’s launched it’s new road bike, the Izoard RR on Thursday night, in Central London. Around fifty people turned up to see the new bike, and share a a can or two of local brew, Camden Hells, provided by Camden Town Brewery. Brooks hosted the night, providing space in their Concept Store, B1866. The new bike was developed for the Alps, where Spoon Custom’s develops and tests their bikes. “Thanks to everyone that turned up to see the bike, and have a beer. It was amazing to see so many friends and make some new ones. 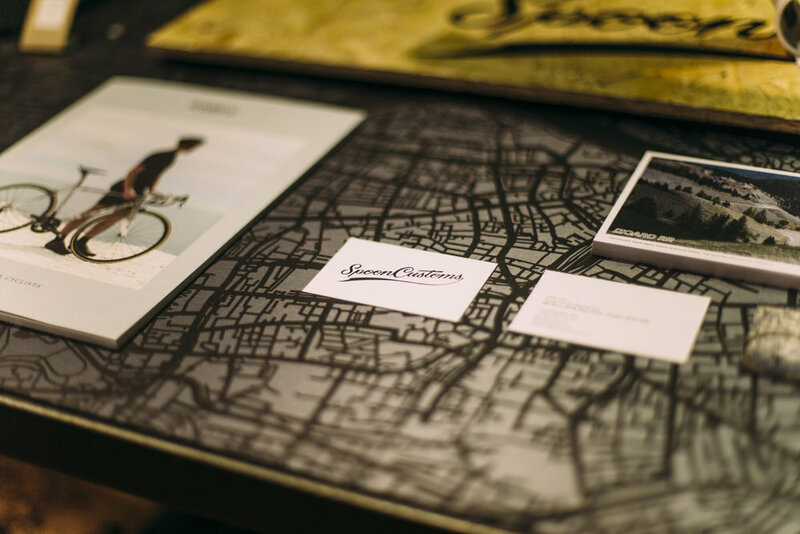 The Sam Dunn bike, the Izoard RR and a spare test frame - which we’re asking the public to help us illustrate - is on display too. 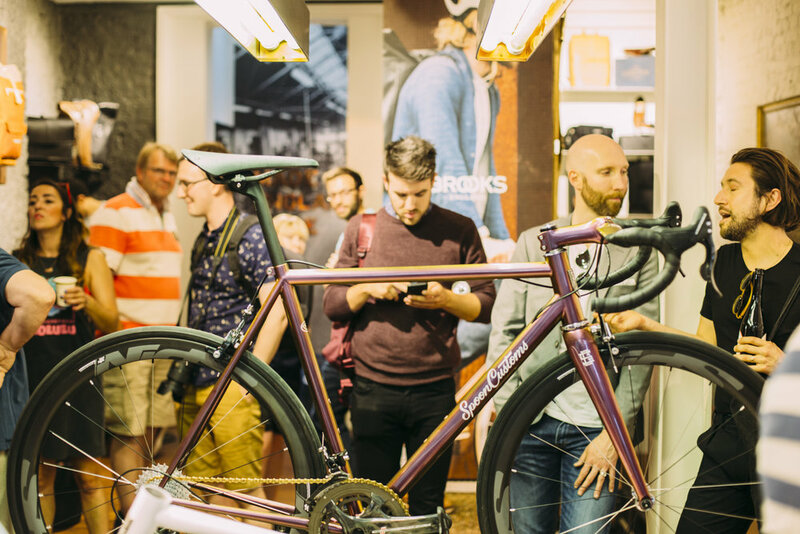 It’s great that Brooks could host us so big, big thanks to them, and I’m stoked that they wanted to hang on to the bikes to share with their customers too”.